The legalized cannabis market in North America and worldwide is set to explode very soon, and I just couldn’t wait any longer to tell you exactly how I’m taking advantage of this once-in-a-lifetime opportunity. I want to explain to you a few things that you need to know if you’re going to maximize your profits in this sector. What started as a billion-dollar industry is quickly headed towards the tens of billions and the growth rate is simply not slowing down at all. The implications of this, along with the starting date for full legalization to take effect, are huge for investors in the cannabis market. 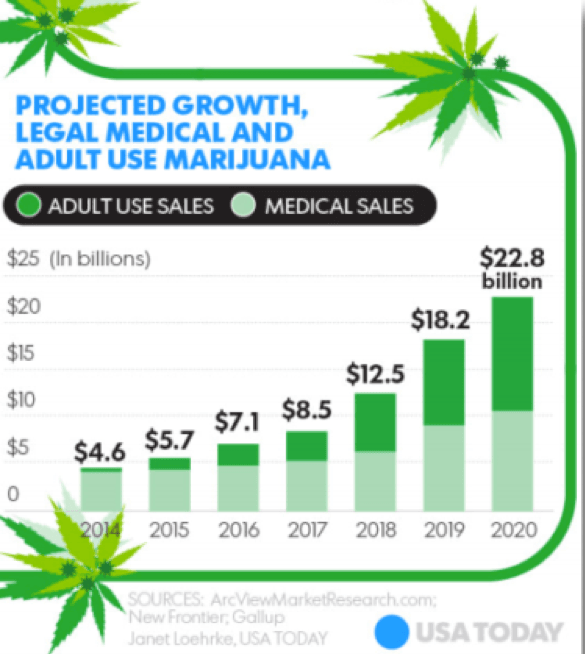 Research states that regular marijuana consumers will increase their purchases by up to 22% and the legal recreational cannabis industry in Canada could generate sales of up to $4.3 billion in just the first year. At this rate, it could easily become the world’s biggest commodity market, and wise investors are taking their positions ahead of the massive move that’s about to happen. The Future Money Trends Letter has uncovered what we see as an extreme value in the cannabis space. The company is Pure Global Cannabis Inc. (TSXV: PURE & OTC: PRCNF), a Canadian-based, fully licensed producer on the forefront of the cannabis market. With over 20 years of experience in pharma business-to-business technology, retail and mail-order pharmacy, pharma branding, and clinical trials, Pure Global Cannabis Founder and CEO Malay Panchal is making history with a firm that will lead the world into the new era of legalized cannabis consumption. In addition, Pure Global Cannabis stands apart from other firms in its unique vision to export legal cannabis products to other nations and continents worldwide – an ambition you just won’t hear from other companies in the market. This is the Pure Global Cannabis world view and mission: to aggressively pursue similarly spirited local and international cannabis companies to strengthen the firm’s position in both the medical and recreational legalized marijuana markets. The vision and the ability to export worldwide is just one of the strategic advantages that make Pure Global Cannabis the best bet in the market right now. But the good news doesn’t end there: the Future Money Trends research team has received the breaking news that Pure Global Cannabis announced that its wholly owned subsidiary, PureSinse Inc., has signed definitive supply agreements with The Supreme Cannabis Company and two other reputable Access to Cannabis for Medical Purposes Regulations (ACMPR) licensed producers. This is a significant milestone for PureSinse and for Pure Global Cannabis, as PureSinse has now received the necessary product to acquire a sales license under the ACMPR, which is expected in the third quarter of 2018. Working with Supreme Cannabis and other premium-quality ACMPR producers is huge news – and a massive revenue generator – for Pure Global Cannabis. 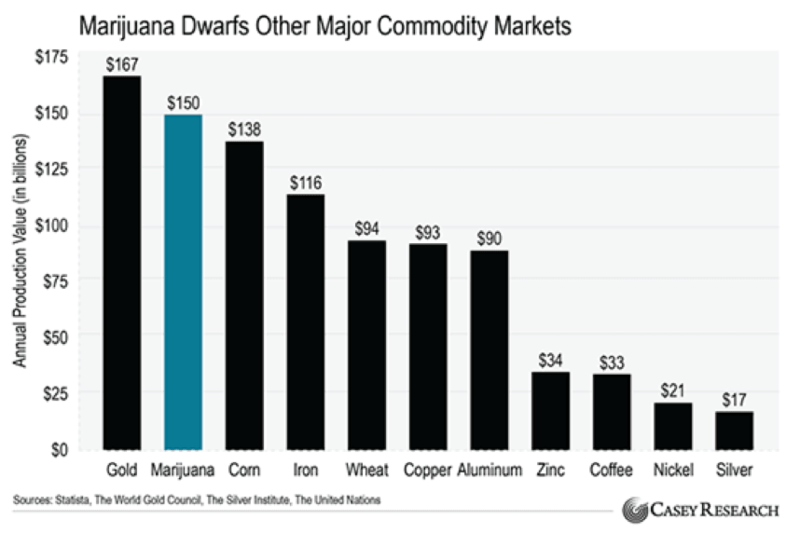 The decriminalization of cannabis could yield us higher profits than we’ve ever seen! Pure Global Cannabis is the real deal, and it’s super CHEAP! The average market cap for a licensed producer is $881 million, however, PURE is unknown. It’s the newest listing for a publicly-traded company, and its market cap is tiny: just under USD$50 million. The upside for us here is enormous. Consider accumulating shares of Pure Global Cannabis (TSXV: PURE). It’s exactly what I’m doing with my own money right now! Editors Note: I personally only own the stocks and other investment ideas suggested in this letter. Never base any decision off of our emails. FutureMoneyTrends.com stock profiles are intended to be stock ideas, NOT recommendations. The ideas we present are high risk and you can lose your entire investment, we are not stock pickers, market timers, investment advisers, and you should not base any investment decision off our website, emails, videos, or anything we publish. Please do your own research before investing. It is crucial that you at least look at current SEC filings and read the latest press releases. Information contained in this profile was extracted from current documents filed with the SEC, the company web site and other publicly available sources deemed reliable. Never base any investment decision from information contained in our website or emails or any or our publications. Our report is not intended to be, nor should it be construed as an offer to buy or sell, or a solicitation of an offer to buy or sell securities, or as a recommendation to purchase anything. We have entered into a three year agreement with the company, purchased shares, and have received three hundred thousand dollars paid for directly by the company for digital marketing. This publication may provide the addresses or contain hyperlinks to websites; we disclaim any responsibility for the content of any such other websites. Please use our site as a place to get ideas. Enjoy our videos and news analysis, but never make an investment decision off of anything we say. Please review our entire disclaimer at FutureMoneyTrends.com.